04 Nights at hotel in Cairo based on BB (Bed & Breakfast ) . 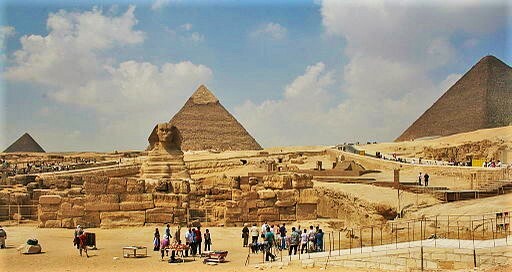 Full Day tour to visit Pyramids , Sphinx & Egyptian Museum . Half Day tour to visit Citadel , Mohamed Ali Mosque & Old Cairo . 4* Hotel Pyramids Area: Cataract , Barcelo , Grand Pyramids or Similar . 4* Hotel Down Town: Om kolthoom ,Triumph , Baron , Steigenberger El Tahrir or Similar . 5* Hotel Pyramids Area: Cairo Pyramids ( Ex Movenpick ) , Le Sphinx , Le Meridien or Similar .